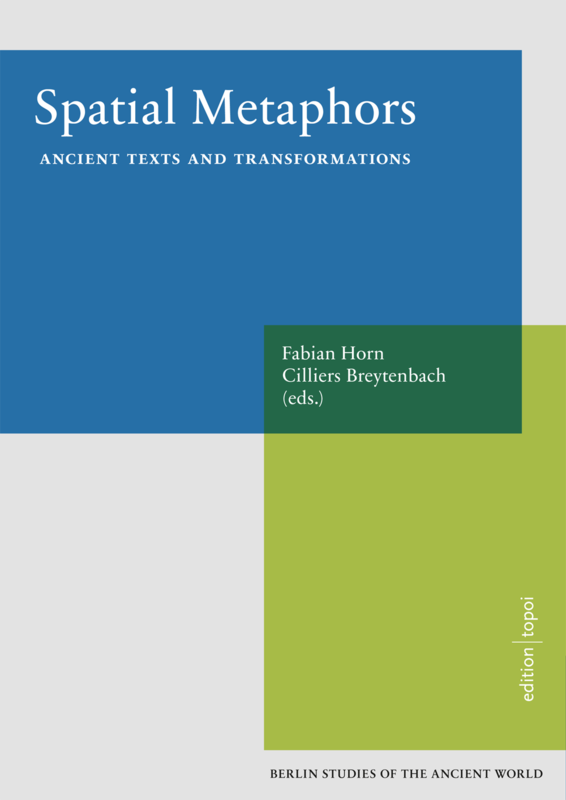 This research group has been dedicated to spatial metaphors used in written communication by diverse cultures from antiquity through to the early modern era. The research used as a starting point the observation that spatial metaphors constitute a universal principle by which non-spatial subject matter can be cognitively grasped, processed and verbally represented. Although this principle is indisputably universal, the group nevertheless expected variation across cultures and languages in the use of spatial properties as metaphors in addition to a variety of common features. This project took as its concrete subject matter metaphorical expressions and formulations used written communication that are based on empirically intuitable phenomena associated with physical space, e.g. the description of vertical and horizontal relations, motion and location. The group’s research focused primarily on documentary texts and various genres of literature dating from between the early 2nd millennium BCE and the end of antiquity in the 6th century CE in a variety of languages, including ancient Egyptian, classical Greek and the Koiné, as well as the Latin of late antiquity. In order to broaden the diachronic and cultural-comparative perspective, the group also analyzed classically-influenced texts from medieval France and early modern England. 1. With a focus on linguistics, we explored the question what aspects of physical space are productive as metaphor vehicles (the language used to form the metaphor) in the languages in question. Paths, trajectories, journeys and travellers, as well as particular physical spaces were, for instance, significant across all of our copora. 2. We also investigated what kinds of topics (the intended meaning of the metaphor) spatial metaphors are employed to describe. Here we identified such common topics as behaviour, emotion, knowledge and language. Particular attention was paid to the question in what contexts and discourses these metaphors were employed. Although theological, philosophical and educational texts in general exhibit a marked tendency to use such metaphors, spatial metaphor was also shown to be prevalent and often very productive in less rhetorically-charged texts, such as in medical texts. 3. On the level of individual language usage, we focused on exploring the kinds of textual methods by which spatial metaphors are produced: whether broad text-scale metaphors or anaolgies were being used, or whether single instances were dotted merely at the lexical level throughout a text. These tendencies were outlined in our joint publication (see below). 4. Because the individual projects investigated the function of metaphors in specific contexts, our research also investigated the kinds of contextual factors which influence concrete linguistic features and analyzed their effects on communication. Specifically, we attempted to determine, based on case studies, what interpretive effort was demanded or reduced by spatial metaphors. Although metaphors often concretize abstract concepts through spatial representations and enrich them with meaning, metaphors can also be employed to increase ambiguity, or merely to amplify the rhetorical quality of the language. 5. The group also shared a common interest in describing the relevance of spatial metaphors for the process by which knowledge is produced, organized and retained. Where spatial metaphors actually explain abstract facts through concrete concepts, it follows that bodies of knowledge could be cognitively structured and organized in accordance with spatial relations and hierarchies before ultimately being verbalised. 6. Lastly, our interdisciplinary and transdisciplinary exchange made a substantial contribution to the theoretical and methodological debates within metaphorical research. The group did this by assessing the theoretical premises concerning use of metaphors with reference to concrete situations. Moreover, the group continuously reflected on the extent to which cognitive approaches, especially Conceptual Metaphor Theory, are applicable to the study of metaphors in ancient texts. To give a concrete example developed by our group, a number of relevant features for the mapping knowledge is a journey emerged in texts from all languages and cultures explaining the prevalent, creative, and often ‚structuring’ role of the metaphor in text production. Many of these features have a basis in the ‘real world’, such as the transmission of knowledge via travel, the ‚real’ context of gathering experience in the course of travel, the effort required by travel, the exploratory aspect of travel and also temporal aspects of research, education and self-development. Research group C-2 carried on the work of research group (C-I-1) Spaces in Language (Topoi 1), which was concerned primarily with systematically describing the different forms that verbal spatial references may take. The new research group approached this task from a methodological standpoint, while also applying previously acquired knowledge of spatial references as a substantial basis for metaphor analysis.